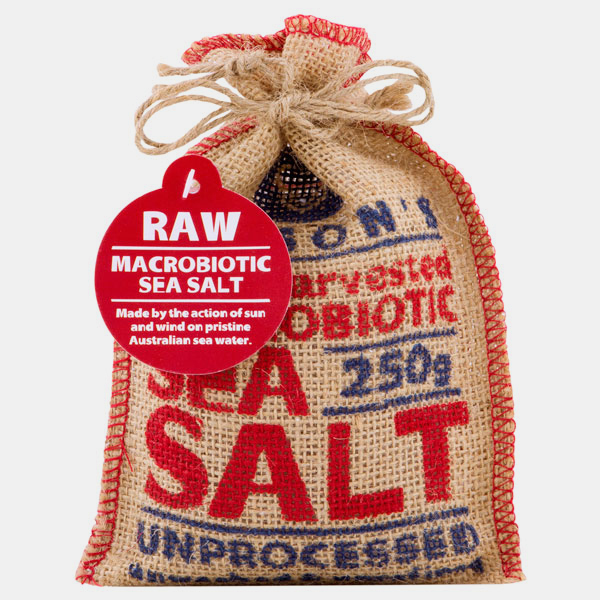 Olsson’s Raw Macrobiotic Sea Salt is similar to wet celtic sea salts and remains free from additives or preservatives and retains a high level of natural marine minerals and trace elements. 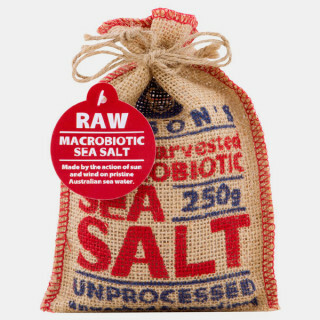 It is suitable for cooking, for curing and for bathing. It is easy to stone grind (with a mortar and pestle) for use at the table. • 100% Australian made and owned.